A super double walled stainless steel. Cornwall Travel Mug. Cornwall One and All logo to centre. Choose from classic Cornish black vibrant red or blue. 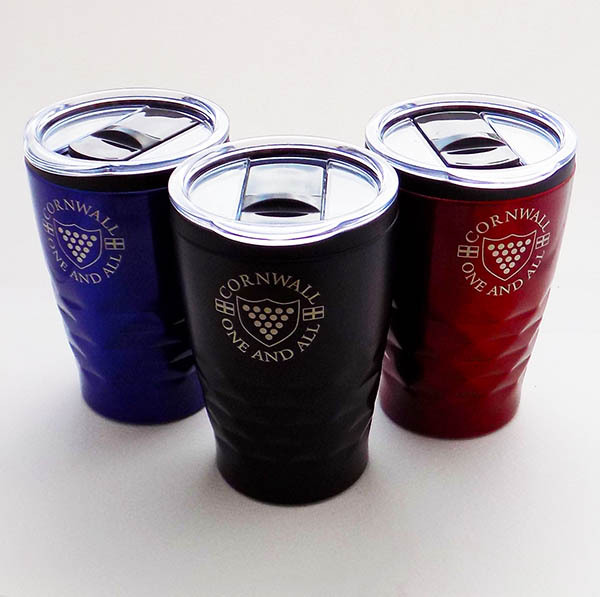 The perfect way to keep your Cornish Coffee Cornish Tea or Cornish Chocolate nice and warm! Great for the journey to work or the journey to Cornwall and beyond! !